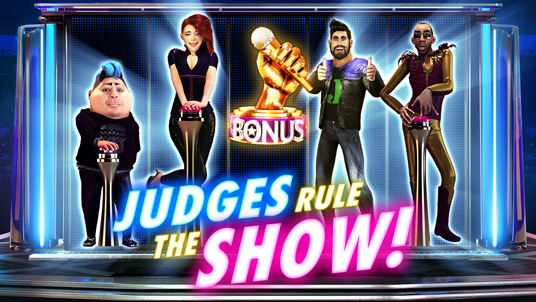 “Judges rule the Show!“ is coming to Red Rake Gaming. 3,2,1... Let the show begin! Very special judges take control in this fun and lively video slot with 5x3 reels based on the programs with the highest audiences of all time where music and talent take centre stage. ‘Let’s go!!! A microphone, a statuette, “Seven” symbols that shine like diamonds and 4 spectacular judges with their 4 buzzers form an explosive cocktail of prizes in every spin. And as if that wasn´t enough, through its “Judges rule the Show!” mechanics, each of the judges surprises the player with an incredible animation in 3D that leads to the function “ Sticky Wilds Judge Respin ”, thus offering more and more prizes. OhYeahhh! Once again we can see in this new video slot that the work of the team of developers, illustrators and animators at the company Red Rake Gaming has really paid close attention to each and every detail in order to reflect realism and perfection in each symbol and animation. The result is truly marvellous. This is quality work at the highest level that has been the hallmark of this young and outstanding Valencian company since the outset.